If anyone would like their Reiki Attunements, Please get in touch. I've decided that the personal touch is everything, and one on one is probably the best. I will still attune small groups when requested. Long distance Reiki for our four legged and winged friends is FREE. Please contact me by E-mail first, with your contact information and we will get started as soon as possible. Who Does The Reiki Master Initiation? Through a series of attunements, part of the initiation process for new Reiki practitioners, a Reiki master employs the ancient sounds and symbols that attune an individual's nervous system to a higher level of energy. A level is reached in which the students, neither highly trained nor especially gifted, can experience more energy flowing through their hands, giving them the power to heal themselves and others. Reiki is taught in three levels or degrees. In Level I or First Degree, the participant receives attunement or initiation to the Reiki energy by the Reiki master. This permanently guides the person to greater healing power. The student learns how to do full body treatments on self and others. In Level II or Second Degree, the participant receives attunements which increase the strength of the practitioner's Reiki energy. 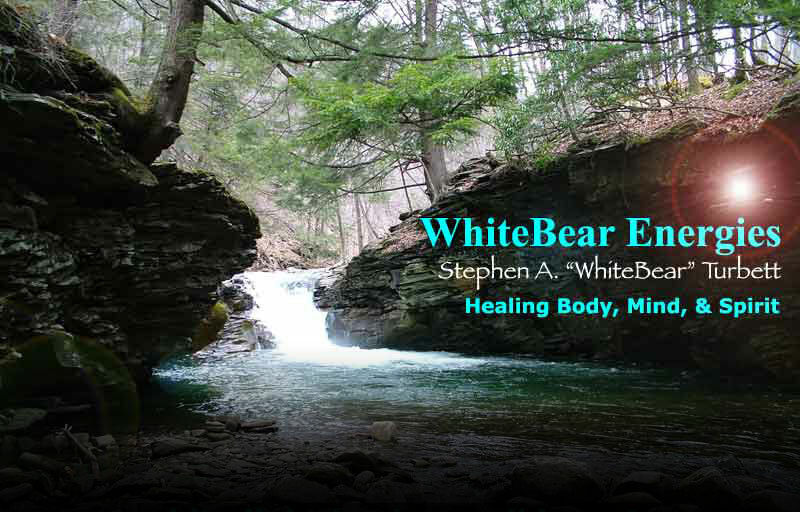 This primarily involves learning the sounds and symbols which are used in advanced Reiki bodywork and absentee healing. In Level III or Third Degree, the participant receives third-level empowerment and the 'final symbol'. It is taught mainly for personal growth. A person who has completed the third level is able to give the Level I Reiki attunement. Practitioners study with Reiki masters to learn how to access ki and become a channel for its transmission. Students learn basic healing patterns and the "laying on of hands" for themselves and others. More advanced practitioners may use absentee healing-which involves practicing Reiki on someone from a long distance, such as a different part of the country- or goal-oriented healing to address specific problems. Jewelry contains items such as stones (semi-precious or precious), metal rings or chains, leather thongs or a variety of other objects. Many of these will attract energies that may interfere with the life energy of Reiki. Items such as watches create a closed circuit that reduce the flow of life energy. Earrings are especially a problem. The pierced ears interfere with the flow of energy. The ears are very important in many therapies such as acupuncture that utilize meridians and must be kept unencumbered. There are two reasons for washing hands. First, there is the physical effect of cleaning. It makes the hands pleasant to feel for the recipient of Reiki. Hot, sticky hands should be avoided in Reiki as they are not conducive to the state of relaxation being sought. The second benefit relates to the aura surrounding the body. This aura may be affected by contact with objects, people, etc over the course of the day and washing removes such influences, which could, in sensitive people, have an adverse effect. It is helpful at this stage to recite a short prayer asking for healing and to concentrate upon and acknowledge your aims, self-perception and those of the person upon whom your hands will be placed. The prayer makes you ready to enter into the relaxation process. This is a means of gently making contact and starting the therapy. It involves a number of steps. Ask the person to lie down. Sit beside the person; put your left hand on your sacrum. With your right hand held about 6-9 inches (15-25 cm) above the body and palm facing down, move your hand along the length of the body from the head to the toes. Return the hand to the starting point using a circular motion along the side of the body. This process can be repeated after the Reiki therapy when your left hand can be placed on the sacrum of the recipient. The hands are clearly the 'instruments' of healing in Reiki. The position in which the hands are placed on the recipient is important. However, it may be varied depending on the circumstances. Just placing the hands on the appropriate part of the body is sufficient. Reiki can be effected through clothing, as the energy will flow the clothing. But many people prefer to have no material obstacles to the therapy. The hands are placed either side of the nose, with the palms covering the eyes; the thumbs rest by the bridge of the nose and the fingertips cover the cheeks and reach the upper lip. This arrangement covers the sinuses, eyes, Pituitary gland, and teeth. It is useful for dealing with colds, sinusitis, eye complaints, allergies, fatigue and general discontent. Another position is to place the hands over the ears, with the fingertips extending down the jaw-line to the neck, encompassing the ears including the semi-circular canals, responsible for balance. The effect also extends to the pharyngeal area. Diseases and problems of these organs such as colds, trouble with balance, hearing loss, etc. are dealt with in this position. For relieving conditions such as headaches, colds, asthma and circulatory problems, place the hands on the back of the head. It also promotes relaxation. There are many variations for the chest and abdomen; we will only discuss a few here. The arrangement for the thymus, heart and lungs is as follows: one hand is laid across the thymus and the other at 90 degrees starting just below and between the breasts. The thymus is a bi-lobed gland in the neck. It is an important part of the immune system. This arrangement therefore reinforces the immune system and helps the lymphatics, the heart, lungs and counters any general debility. Another technique is to place the hands on either side of the navel and slightly to one side. The stomach and digestive organs are the focus of attention here and the conditions/symptoms addressed are the digestion and the metabolism. Specifically, this treatment will combat nausea, heartburn, gastrointestinal diseases and indigestion. Because the presence of such conditions often results in tension and worry, the relief of symptoms will similarly help relieve anxiety and depression. There are two other positions that are worth exploring: Here, the hands are placed in a position similar to that used to focus on the stomach and digestive organs but further away from the body midline. Approach the body from the right side of the recipient. Place your left hand around the base of the ribcage. In this position, we are dealing with the gall bladder and liver. This position is for diseases and conditions of these important organs and associated problems of a metabolic nature. The liver is a vital organ in the process of removing toxins from the body. Hence this arrangement is very important for healing those ailments. The position related to this one is essentially a reflection where the hands are placed on the left side of the body to encompass the area of the bowels, spleen and some of the pancreas. Here, diseases of these organs such as indigestion and healthy blood are all dealt with. Another position involves focusing on the appendix, intestines and urinogenital organs. The hands are placed where the pelvic bones are covered and meet over the pubic area. This is used for the healing of a number of ailments associated with the appendix, intestines and urinogenital organs. It is also useful for the treatment of allergies, general debility, problems of a sexual nature and related to weight. It is believed to reinforce the immune system. Here again, there are a number of positions that are used. In one such position, the hands are placed across the shoulder blades at mid to upper point, to influence the intestines, lung, heart and various muscles in the neck and shoulder region. This will help lung and heart diseases, muscular tension, headaches and related conditions. Please consult a qualified practitioner before you start with Reiki especially if you are suffering from serious conditions or diseases. Aromatherapy employs essential oils extracted from plants. The oils can be used in three ways: by direct application, bathing in water to which a few drops of the appropriate oil have been added, and inhalation. When used in conjunction with Reiki, some oils can be applied directly on particular areas of the body, or their aroma can be made to fill the room using an aroma lamp. Below a few oils are considered and their use compared to their therapeutic value in aromatherapy. In aromatherapy lavender is a tonic with relaxing effects. It is also an antiseptic, an antispasmodic and stimulates the appetite. It is also used for minor burns and wounds. Its soothing effects render it helpful for headaches, tension and similar conditions. In Reiki, lavender is associated primarily with recipients who are sensitive and easily hurt. In long sessions of Reiki lavender helps to promote the calm and confidence necessary for a period of building and strengthening of the life force energy. In aromatherapy, sandalwood oil is prized for its relaxing and antiseptic effects. It forms a very effective oil for application to the skin (especially facial), particularly for dry or sensitive skin. Sandalwood oil produces an ambience conducive to the Reiki therapy because the oil is considered to elicit trust and confidence, between practitioner and recipient. Clary sage is a tonic, antispasmodic, antidepressant, anti-inflammatory, bactericidal and more. It is also used to treat colds, menstrual problems and its very low toxicity renders it suitable for general use. In a session of Reiki therapy, clary sage is used to open blocked channels and to enhance sensitivity. Patchouli has some aphrodisiac qualities, and is also used to treat skin disorders and minor bums because of its anti-inflammatory and antiseptic qualities. It is also used in Reiki therapy for allergies and impurities of the skin; but the fundamental use and aim is to enhance the sensual qualities and aspects of life. An alternative medical practice of massage in which the patient is not physically touched.